Mission: The Committee for Professional Counselors protects the public from unlicensed, negligent, incompetent, and dishonest mental health services provided by licensees and individuals under supervision for licensure. 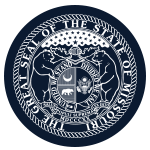 The committee enforces licensure standards through the implementation of legislative and administrative regulations and provides guidance to supervisor and applicants for licensure to insure compliance with Missouri law and regulations. Function: Applications are reviewed by the committee to insure a licensee or individual under supervision for licensure is qualified, through education, supervised experience, and examination, to provide mental health services to Missouri consumers. Complaints and corresponding investigations are reviewed by the committee to insure licensees and individuals under supervision for licensure practice, legally, ethically, and competently.